This month Essentia welcomes one of the most talented and knowledgeable individuals in the crypto world — Moe Levin. His achievements speak for themselves — he is a co-founder of the first accredited Blockchain Academy and a founder of Keynote. Keynote is responsible for organizing events aiming at increasing awareness about innovative technologies and strategies which are applicable in day-to-day life. Moe has organized many successful events with famous guests and speakers who share their experience and vision. This includes the creation of the First Global Bitcoin Conference in 2013 in Amsterdam. He is also responsible for the production of the World Blockchain Forum since 2015 and The North American Bitcoin Conference since 2014. Moe Levin has become one of the biggest stars in the crypto-sphere. So much so CNBC wanted to follow him around the American Bitcoin Conference he organized! You can see the news report here. We know Moe, as the creator of Keynote, will be a massive asset in presenting Essentia to the world and communicating our vision. With great insights into the latest innovations and the ability to work with governments, regulators, banks and venture-backed companies, Moe will be able to help Essentia build a successful decentralized ecosystem and thriving community. Having earned a dominant name in the crypto-sphere during last six years, Moe is the perfect person to assist us in setting strategic partnerships with key industry players. We know Moe’s professional touch will highly optimize our project’s goals and vision. He is a great addition to the Essentia team and we are excited moving forward with one of the best minds in the business! P.S. 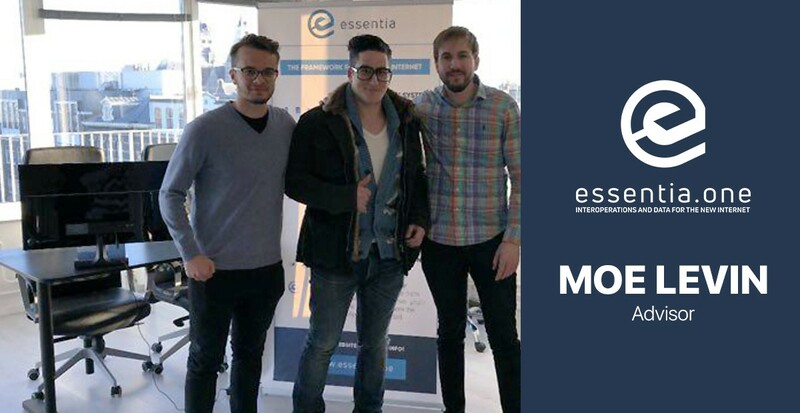 The photo with Moe, while he was visiting Essentia’s main office in Amsterdam. We had a great time and an informative talk. Happy to have you onboard!